Preliminary information revealed that an unknown number of gunmen stormed a drug rehab center in the city of Chihuahua, called Grupo Uniendo Familias “Clínica para Vivir Mejor,” Mexican news outlets reported. The gunmen arrived at the clinic in sedans and began firing AK-47s at the victims inside. In addition to the 16 murdered, six others were seriously wounded by gunfire. According to state officials, the death toll could rise. While no motive for the new massacre has been given, the cartel battles for the state of Chihuahua continue to intensify as with new executions occurring daily. This ongoing territorial war is being fought by cells aligned with the Sinaloa and Juarez Cartels. The Gente Nueva del Tigre, which is an armed wing of the Sinaloa Cartel, has been active in recent months in Chihuahua, spreading messages in narco-banners and social media warning the public to stay indoors at night. One of the main areas in dispute is the border city of Ciudad Juarez, a lucrative drug smuggling corridor where thousands of illegal immigrants and tons of drugs are moved, sitting directly across the border from El Paso, Texas. In June, the same cartel cell sent out such a message on Facebook warning the citizens of Cuauhtémoc, Chihuahua of an impending clean-up or “limpia” where the cartel claimed it would track down and execute rivals; they warned the police and military not to get involved. 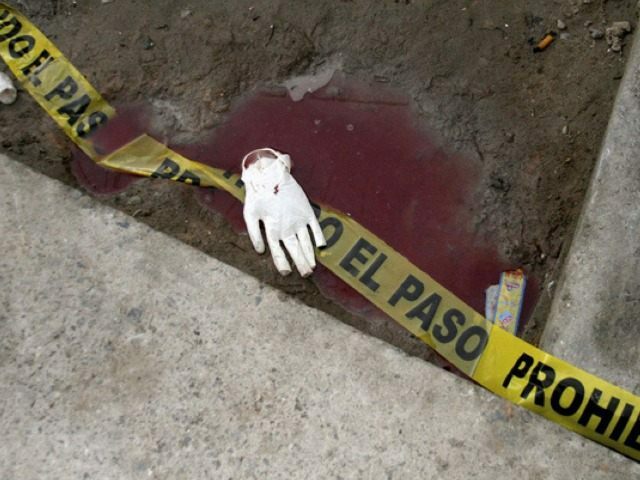 The violence in Chihuahua continues with the recent execution of five victims at a bar in the city Chihuahua. Aside from the Gente Nueva del Tigre, Sinaloa also has Los Cabrera, Artistas Asesinos, and the Mexicles fighting on their behalf against the Juarez Cartel. On their side, the Juarez cartel has been relying on its armed wing called La Linea as well as Los Aztecas or Barrio Azteca. Breitbart Texas recently reported on a cartel gun battle between La Linea and Gente Nueva del Tigre in the southern part of Chihuahua. The fierce clash killed 15 gunmen in the rural community of Madera. Authorities were able to arrest five and seized 13 vehicles containing five machine guns and one handgun. In 2010, 19 people were killed at a drug rehabilitation center in Chihuahua under similar circumstances.